Currently there are 15 breweries based within our branch area and basic details about them all are provided below. Additionally, although Dartmoor Brewery lies geographically within Plymouth CAMRA's area, its current Brewery Liaison Officer (BLO) is a South Devon CAMRA member and hence it's also included. It's CAMRA's policy to have a BLO, usually a CAMRA member from the local or adjacent branch, responsible for each brewery who feeds news and information about that brewery to other branch members and CAMRA HQ. Such information is available in the  CAMRA Good Beer Guide  published annually in September. Our BLO's are listed on our  Committee  page. Barnaby’s Brewhouse design delicate organic craft lagers designed to meet a range of tastes. Produced using the farm’s spring water, cold fermented, and conditioned over time, their lagers have a clean malt flavour. Riverford Organics Farm shops; Totnes Brewing Co.; Wildmoor Deli, Bovey Tracy: The Old Library, Ashburton and many other places. 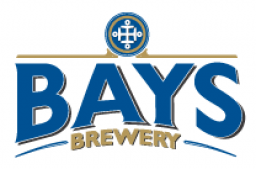 Bays Brewery began in March 2007 when Will Freeland, Mark Salmon and Peter Salmon joined forces and signed a lease on an old 5000 square foot steel fabrication unit in Paignton. The transformation began towards the end of March and by the middle of June, after some considerable construction and installation works, it was running its first brew through the 20 barrel brew plant. The first two brews, Best and Gold, were successfully launched into local pubs simultaneously in the first week in July. With Will Freeland’s experience as the head brewer at Skinners Brewery in Truro for ten years, Bays Brewery was quickly able to establish an efficient and consistent brewing regime. Bottles were launched in August 2007, the brewery shop was opened in October 2007 and the third ale, Bays Breaker, was made available in November 2007. 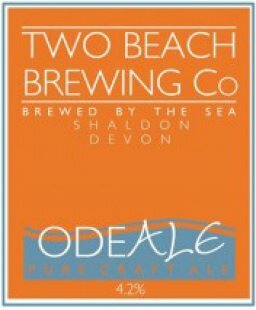 Since then, Devon Dumpling and Topsail have been added to the portfolio, and some of the original brews have become adapted into seasonal ales. Bays Topsail ( ABV 4%) – Well balanced, deep amber colour with a subtle sweetness. Also a variety of summer and winter seasonal ales. Offshore Bare & Restaurant - Torquay Boat House - Paignton Cary Arms Hotel - Torquay Atlantic Inn - Porthleven, Cornwall Duke of York – Iddesleigh and many other places. 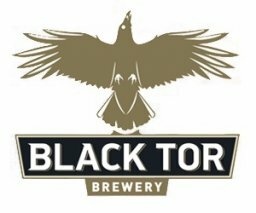 Black Tor Brewery is a family run 8 barrel brewery located in Dartmoor National Park and established in 2013 on the former site of Gidley’s Brewery. Traditional brewing methods and the finest ingredients are combined to handcraft unique and flavoursome ales. Pride of Dartmoor (ABV 4.0%) - Refreshing, easy drinking and moreish amber ale, biscuit and caramel notes marry with a sweet floral finish. Raven (ABV 4.2%) - Award winning chestnut brown ale, rich, smooth and malty brewed with a generous helping of English hops; full of flavour with caramel notes and summer-fruit aromas. Devonshire Pale Ale  (ABV 4.5%) - Refreshing and easy drinking light golden ale with balanced bitterness and a hoppy aromatic punch, finishing with hints of citrus and grapefruit. Tor Ale (ABV 4.8%) - Deep golden brown in colour, this premium ale is very smooth and well-rounded with subtle bitterness, pleasant hop aroma and sweet malty finish. Porter (ABV 4.4%) – Limited edition black porter. Light, smooth and crisp with rich deep flavours from a seven malt grist. Vegan friendly. Cove, Teignmouth; Twiggy’s, Torquay; Hound of the Baskervilles, Ashburton; Dolphin, Bovey Tracey; Teign House Inn, Christow; Bishop Lacy Inn, Chudleigh; Rock Inn, Haytorand many other places. The Albert Inn changed hands in December 2007. The new owners built a 2.5 barrel brewery which started brewing in April 2008. The ales are now wholly made by the current landlord who supplies his own bar. 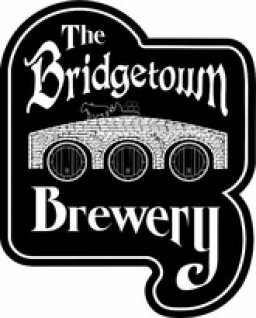 AA (The Real Emergency Service) (ABV 3.8%) - A pale session beer Bridgetown Bitter (ABV 4.2%) - Mahogany coloured, rich malt and bitter hopped producing a traditional British bitter. Shark Island Stout (ABV 4.5%) - A rich hop and malt aroma. Dry roasted hoppy stout with a deep finish of coffee, liquorice and hops. Cheeky Blond (ABV 4.5%) - Straw coloured, heavily hopped with citrus notes. Dartmoor Brewery was established in 1994 as Princetown Brewery by former Hop Back and Gibbs Mew brewer Simon Loveless. Brewing was increased to 60 barrels a week in 1998, supplying four pubs owned by a sister company and about 20 local pubs direct. A further expansion occurred in 2005 when £1 million was invested in a new building and German-built plant behind the old premises. The new brew-length is 30 barrels with scope to produce 60 barrels a day. 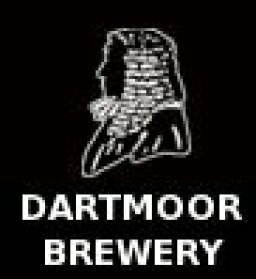 The brewery was renamed Dartmoor Brewery in May 2008. In 2010 three new 14,000-litre fermenting vessels were added to further increase capacity to cope with ever-growing demand. It is claimed to be the highest brewery in England at 1400 feet above sea level. Jail Ale is now available in bottles and is available in local off licenses, including  Tuckers Maltings. The brewery is a member of  SIBA. Brewery tours are not currently available for members of the public. Legend (ABV 4.4%) - A classic cask-conditioned beer: smooth, full-flavoured and balanced, with a crispy malt fruit finish. Jail Ale (OG 1047.5, ABV 4.8%) - A full bodied, deep golden brown beer with a well-rounded flavour and a sweet moreish aftertaste. Dartmoor Best (ABV 3.7%) – Hand crafter amber ale with a dry hop citrus fruit character. 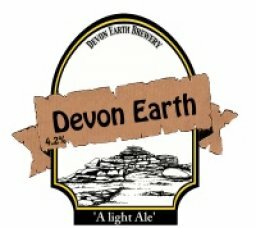 Devon Earth Brewery launched its first real ale "Devon Earth" in March 2008 from its 2.5 barrel plant. Paignton brewer Amyas Holroyd actually brews his beer at a site on the banks of the River Dart on the edge of Dartmoor. The brew-house was rebuilt and part time brewing recommenced in 2013. They only very occasionally brew and mainly supply local beer festivals and a few local pubs. Devon Earth (ABV 4.2%) - This is a light, refreshing golden ale. Grounded (ABV 4.7%) - A light to medium bitter made with local malts and using Northdown and Challenger hops. Bitter with a malt finish . Lost in the Woods (ABV 5.2%) - A dark porter weighing in at 5.2% ABV, winner of the Double Locks Best Beer in Devon. 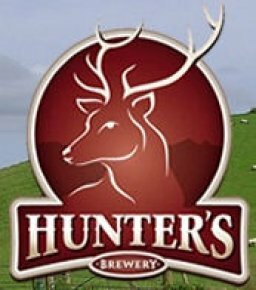 Hunters Brewery is a family run brewery that opened in September 2008 and uses a 5 barrel plant. Crack Shot (ABV 3.8%) – A light gold ale with citrus, grapefruit and grassy notes. Half Bore (ABV 4.0%) – An amber bitter made with Devon honey to produce a smooth, sweet malty taste. Pheasant Plucker (ABV 4.3%) - An amber/red bitter with a rich fruity taste and the aroma of spicy hops, molasses and cocoa. Full Bore (ABV 8.0%) – An amber strong ale with a bittersweet hop finish. In 1926, The Lion Brewery in the heart of Totnes ceased trading. At its peak, the successful brewery owned 26 pubs and employed many local people, with a famous stout beer in its portfolio. 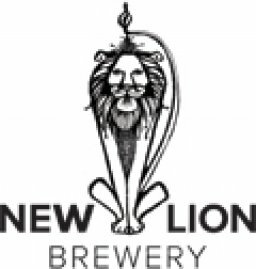 In 2013 a group of 3 local people established the New Lion Brewery which has quickly gained a great reputation for craft award winning beers. The brewery’s business model focuses on 3 pillars – community, innovation and profitability. The community will help shape the company and, down the road, will have the opportunity to invest in it. The business will sit as one of many ‘Transition in Action’ businesses in the town. It will create employment, attract new visitors, generate revenue for other projects and potentially provide a return to local investors. They are passionate about collaborative partnerships, with local makers, growers and emerging entrepreneurs. Mane Event (ABV 3.8%) - The complex 7-malt grist imparts a warm golden brown colour, this beer utilises U.S. hops to create a balanced and highly drinkable modern session bitter. Pandit (ABV 4.9%) - An aroma of citrusy and floral U.S. hop varieties is complemented on the palate by a well-defined, biscuity malt character. Totnes Stout (ABV 3.8%) - Silky and smooth due to the addition of oats, this un-fined stout offers a great mouthfeel coupled with deep roasted and coffee notes. Platform 5 began brewing in March 2013 at the Railway Inn, Newton Abbot using a 6 barrel plant. The brewery is situated in part of an enclosed alley under the disused Platform 5 of Newton Abbot station, with the other part housed in the pub's skittle alley. 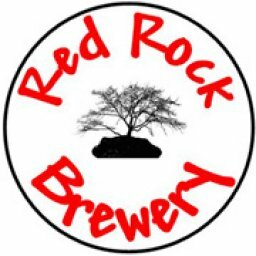 Red Rock Brewery was started in 2006 by two teachers who shared an overwhelming interest in beer. Luckily one of them had a lifelong fascination with home brewing and, more importantly, a son who has had lots of brewing experience! He also had a friend, Geoff, who is a farmer with spaces in barns. The Blue Anchor, Teignmouth; The Lansdowne, Dawlish; The Wild Goose, Combeinteignhead; The Castle, Holcombe; Decks Wine Bar, Teignmouth; Cockhaven Manor Hotel, Bishopsteignton; The Swan Inn, Dawlish and many other places. Riviera Brewing started commercial operations in April 2015 from a small 1 Barrel (300 pint) plant in Paignton. Head Brewer Alan works for an Engineering Company and brews part time producing traditional ales Hops used range from the traditional Challenger, Fuggle and Golding but the RBC Ales also feature the use of Cascade, Bramling Cross and Chinook Hops. The Ale is mainly sold directly the public in small cask, Bag in Box and bottle. 9 Gallon Firkin and 4.5 Gallon Pins are also available on an occasional basis in local pubs and festivals listed below. Christmas Ales are expected to be brewed including a strong Dark Winter Warmer and a light Pale Ale. Regular Beers: Torbay Express 4.8% - A first class premium ale with a spicy bitterness and light citrus aroma Riviera Gold 4.2% - A deep golden Pale Ale citrus fruit flavours and a lingering hoppiness RBC Best 3.8% - Lightly hopped session ale with a caramel and nutty taste and a fruity finish Devonian 4.1% - Amber coloured and easy drinking with a floral citrus finish. 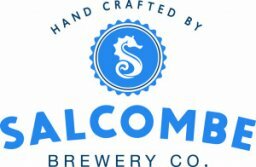 The Salcombe Brewery started trading on 1 May 2016, brewing and distributing several cask bottled ales. Shingle Bay 4.2% - Light easy drinking session ale with fruit aroma and taste. A crisp revitalising finish. South Hams Brewery Co Ltd. 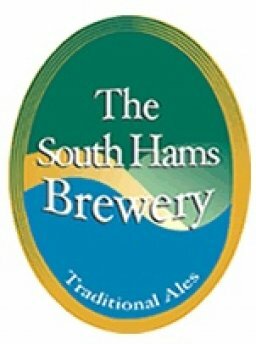 The South Hams Brewery, formerly Sutton Brewing, moved to its present site in 2003, with a 10-barrel plant and plenty of room to expand. It supplies more than 60 outlets in Plymouth and South Devon. Wholesalers are used to distribute to other areas. Two pubs are owned by the brewery. The brewery is a member of  SIBA. Brewery tours are available by arrangement. Teignworthy brewery was established in 1994 by John and Rachel Lawton and is located in part of the historic  Tuckers Maltings. There are regular tours of the maltings from Easter to the end of October, which includes the brewery and a sample of beer (tel: 01626 334734 or www.tuckersmaltings.com  for details). The brewery is a 15-barrel plant and produces an average of 30-35 barrels a week using malt from Tuckers. Production has increased due to Progressive Beer Duty, which levies lower rates of duty on smaller brewers. It supplies 75 outlets in Devon and Somerset, and some beers from the range are bottled on site and are available from the Tuckers Maltings shop (also by mail order). The brewery is a member of  SIBA. 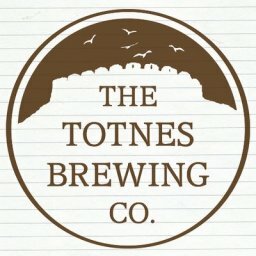 Founded in 2014, after combining the Castle Inn & The Barrel House, The Totnes Brewing Co. was born. The brewery is situated at the rear of a bistro/bar in Totnes. It has a portfolio of 6 main ales plus additional specials. Ales are unfined, unfiltered and vegetarian or vegan and production of up to its capacity of 6 barrels a week are sold almost exclusively in the pub. Ink 5.2% Somewhere between a chocolate malted porter and a dark mild there are flavours of cocoa, coffee and liquorice with burnt toffee notes. Woodsmans IPA 4.2%. A light and pale hoppy bitter with a citrus finish. Duck Medicine 4.2%. Made with New Zealand hops, this is a lively well-rounded, well-hopped white grapey pale ale. Ziggy’s Chin 5.3%. A bitter rye pale ale with earthy spiceyness, well-hopped with New Zealand hops. Tropango 5%. A light unfiltered fruity ale with a juicy mango flavour and a soft bitter finish.